The Ministry of Food and Agriculture is putting in place pragmatic mechanisms to ensure that Ghana becomes a leading agric business and industrial country in Africa by the year 2010. The vision is expected to contribute to the revitalization of the agric industry, the sector Minister Major Courage Quashigah has announced. He said the ministry was facilitating a well coordinated research and extensive farmer relations to produce enough for food security, industry and export. The agric Minister made these known during the celebration of the first anniversary of the NPP students' movement (TESCON) of the Kwadaso Agric College in Kumasi. Quashigah said feeder road constructions were underway to spearhead the transportation of food crops from the rural areas and implementation of programmes like ASSIP which are Agriculture service sub-sector investment programmes aimed at reforming and strengthening agric technology and other programmes for the purpose of achieving food security and sufficiency in the country. 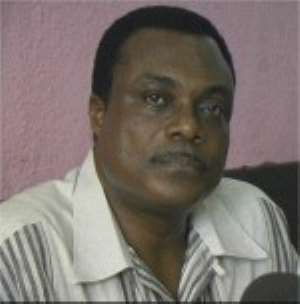 He noted that the NPP government had made food available, following national strategic food security stocks embarked upon by the Ministry which has as its main purpose, the plan to reserve stock in preparation for anticipated widespread hunger from natural disasters like droughts, floods and others. He encouraged the students and the youth to see Agric as a Business, not only as a food-sufficiency strategy and go into it, particularly the president special initiative in order to combat the influx of foreign food items into the country.